It’s Style Rehab week here on Thriftshop Chic. Take a look back at how you can use fashion as a fun tool to help you feel your awesomest and to see my fall wardrobe adjustments. Have you ever found yourself drowning in the clothing of the small people with whom you live? Today, we’re going to tackle a style rehab that will keep you and your kids SANE and stylin’! 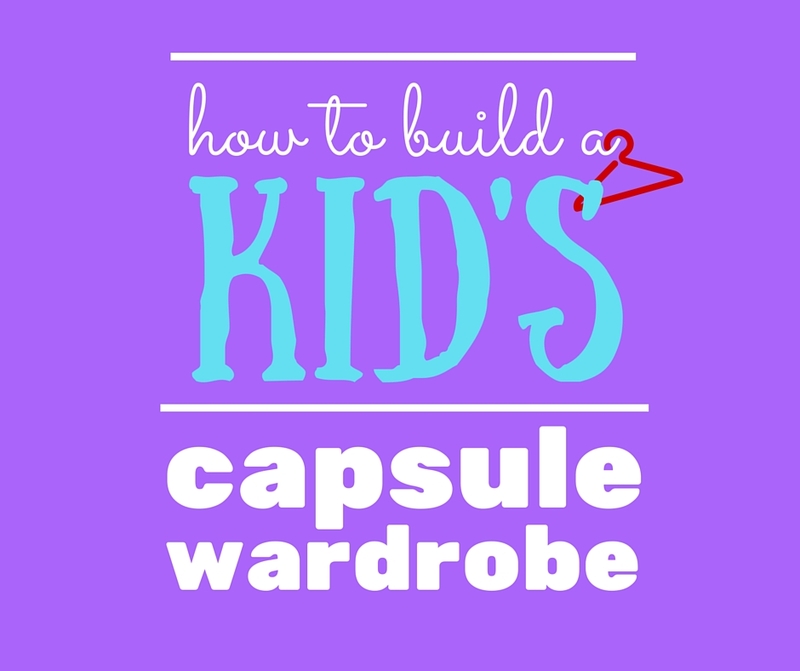 Why create a capsule wardrobe for kids? Capsules are hot and trendy right now, but we’re not doing this so you can feel hip about junior’s closet. We’re doing it to make it easy to manage their clothes (storage, laundry) and easy, on any given day, to put together an outfit. A capsule wardrobe is a collection of clothes you love and wear regularly and that play well together. We’re going to get rid of the excess clothes that you or your kid don’t love, then build back in some pieces that work with the remaining faves, leaving you with a wardrobe that’s flexible and makes getting dressed (and, dare I say, laundry??) FUN. Because when your wardrobe is made up of a limited number of coordinating pieces, there’s no more digging in the unfolded (or still dirty!) laundry for the ONE shirt that goes with the green pants or the lone clean sock out of 20 pairs you can’t seem to keep track of. Depending on the age of the kids in question, they may or may not be involved in creating the capsule. My kiddo is a toddler, so other than growing out of stuff too small for her, she didn’t have much input. I’d encourage you to involve older kids in as many steps as you think they’ll enjoy—the more empowered they are about their own clothing decisions, the more you’ll all enjoy the benefits. 1.) Do the math. How many items does your kid need? Tally up specialized clothes on a longer basis if necessary—e.g. maybe you dress up once a week but don’t want your kid to wear the same dressy outfit every week, so you want 2-4 total. Pro tip: you might opt to flip steps 1 and 2 if it will be easier to keep track of your kid’s weekly wear with fewer items. But if you’re going to get rid of a LOT, it might be tricky to get through a week on just the keepers. Our capsule: We’re out of the spit up/poop-splosion stage, so we need about one top/day for a total of 7/week; pants don’t take as much of a beating but still end up stained sometimes, so I calculated 5-6/week. We try to look a little more put together for church, so that’s at least a couple of dressier outfits per month. 2.) Parse what you already have. Set aside anything that is too small, too big, out of season, hole-y, pilled, stained beyond redemption, etc. Anything truly heinous goes to the clothing recyclers (here in Atlanta); everything else goes to friends/family, the thrift store, or into storage for a younger child. 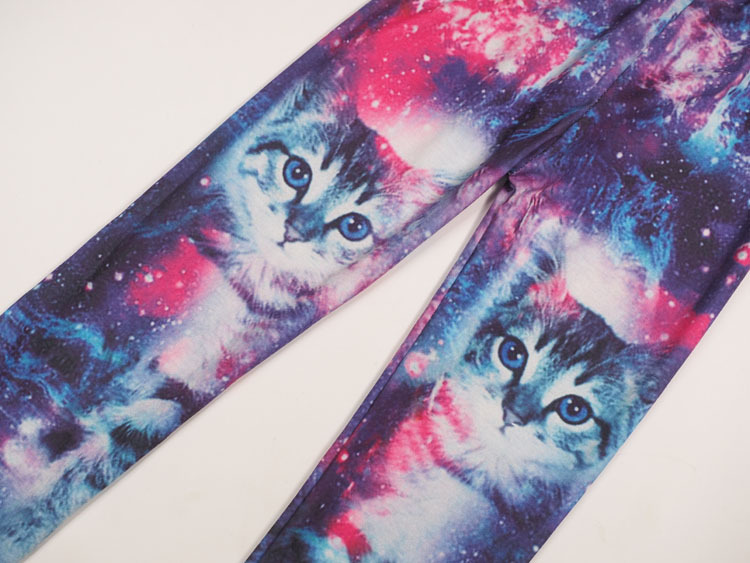 Our capsule: For my kid, I had already tossed some low-quality, pilling pants or ones that were way too loose in the leg, making it hard for her to get around. This is what was left. Check out those vintage Wranglers on the left; they were mine as a kid! 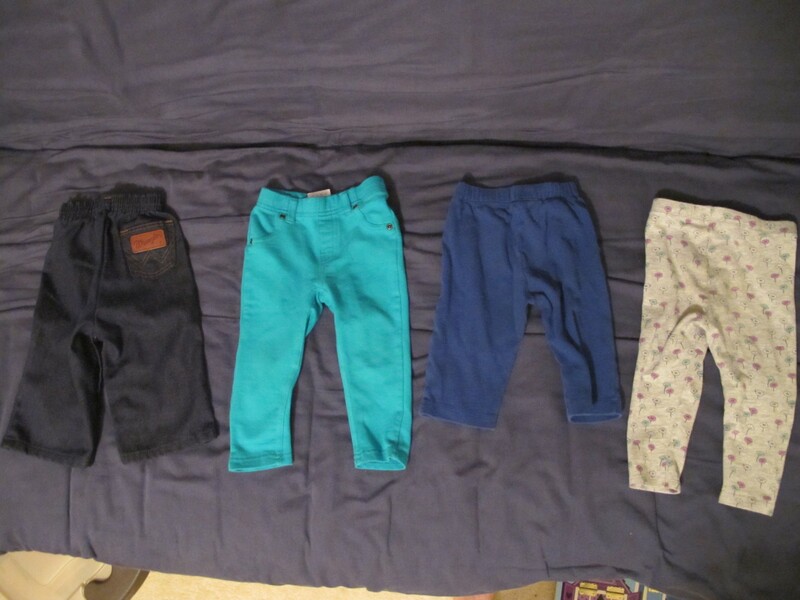 As you can see, one of these pants is not like the others…the blue pants 2nd from right are too short and went into storage, since they were still in good condition and we used them frequently. 3.) Determine where your holes are. Once you’ve done the math and pared down, what are some obvious gaps? 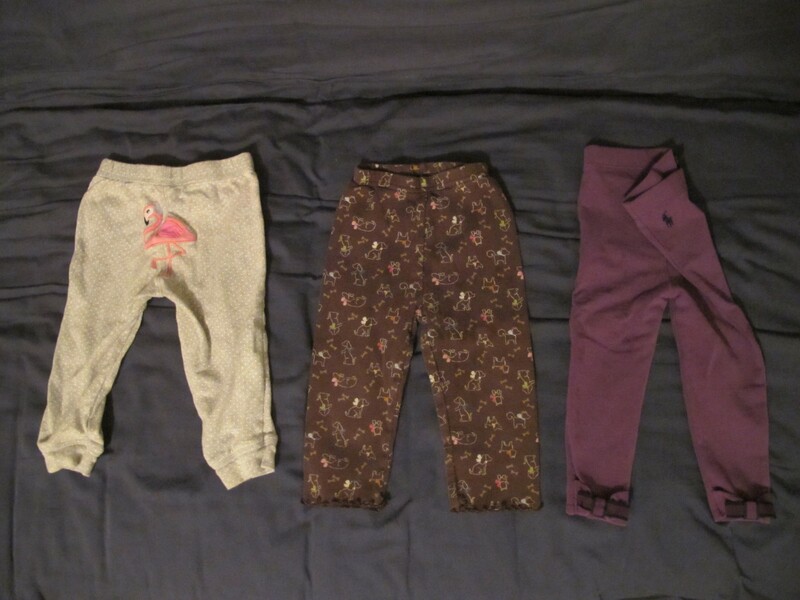 Does your kid go through 4 pairs of pants a week but you just pared down to 2? Do you need 7 shirts a week but you just realized all the ones you’ve kept are short-sleeved and it’s November? Write down your numbers to get a better picture of what you’ll need next. Our capsule: My kid started fall with 4 long-sleeved shirts and a kitty dress, and we were definitely not making it through daycare and weekend adventures on just these 5 (see: shirt in upper left covered in…paint? spaghetti sauce? I have no idea). And as you’ll count above, we were down to 3 pairs of pants. Plus throw in a couple of extra layers for the cold days. 4.) Pick a style and a color scheme. If you want to really make getting dressed easy, most or all of your kid’s clothes should go together. This doesn’t mean they need to be matchy-matchy or that you need to buy all of this season’s newest retail collections (heaven forbid!). Instead, take a look at what you already have and see if any colors or styles jump out to you. 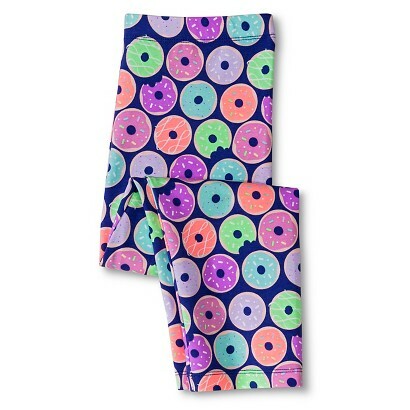 If you have a lot of holes to fill, think about your kid’s personality and how their clothes can convey that. Older kids DEFINITELY need to be involved here. Invite them to come shopping with you, or if that’s the last thing they want to spend time doing, ask them what they want—polo shirts, lots of reds, leggings, etc. Our capsule: Style-wise, our kid is spunky and sweet, a total daredevil and happy as a clam when she’s dirty. So we tend towards active wear (no tights, thanks!) and clothes that are fun but not overly precious. Color-wise, for bottoms the jeans are neutral; then we have a bright teal and a grey with some mauve and mint flowers (sorry if colors aren’t super accurate; my photos don’t do them justice). 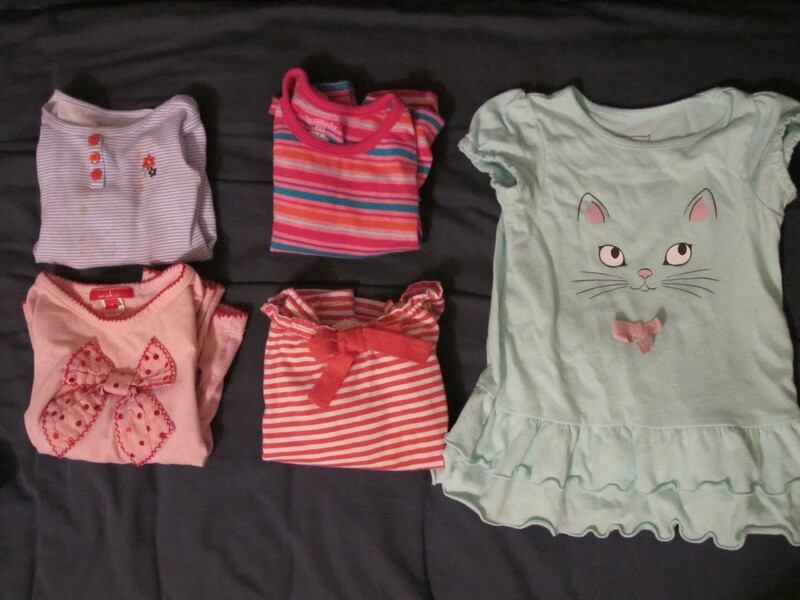 For tops, we have 1 blue/white, 2 pinks/corals, 1 teal/red/pink/mint/orange stripe, and 1 minty kitty cat. Full disclosure: the multi-hued stripe shirt + teal pants, as well as the kitty cat + floral pants, were gifted to us as sets. If you have any guaranteed-to-match sets, bonus for you! I figured a few more things with mint would round out the lone kitty and play well with the floral pants and the jeans. The pinks were having no problem playing with the teal pants or jeans, so I left them alone. I kept the colors for the items I needed to buy open to in-store inspiration, aiming for one or two hues to maximize flexibility. 5.) Shop for what you need. Armed with your list, hit up your local thrift store, coop sale, or consignment shop/pop-up store (e.g. Rhea Lana); organize a kids’ clothing swap; or head online to a store like Schoola where your secondhand purchase helps fund fine arts extracurriculars. Scroll down to add your own favorite local or online options in the comments! Our capsule: I probably hit 4 or 5 stores in my quest for long-sleeved shirts in the right size and free of misogynist messaging. I pulled the two sweatshirt/dress combos (below left) at the first store, figuring that navy is kind of a neutral? and the mint one would warm up the short-sleeved kitty combo for starters. Then I hit a dry patch until the last store, where I found EVERYTHING else I needed. Jackpot! Play the long game, people, play the long game. I was drawn to the brown pants with dogs, thinking the brown would pick up the trim on the snow leopard shirt and the bear on the other purple shirt; we’ve also paired them with the pink sequin bow shirt because those tiny little puppies are all sportin’ bows! Last but not least, the purple Ralph Lauren pants (what?? they make baby leggings with BOWS on the ankles?? I’m almost afraid to know how much those retailed for…). They go with every shirt I had picked out and could conceivably work with the pink shirts and the kitty top, too. Friends, the hardest part of this whole thing will be the temptation to buy MORE than you’ve determined you need (this is why we do the math up front). You will worry your child will not have enough clothing and a crisis will result in which they either wander the world naked or you spend eternity in the laundry room trying to keep up with their dirty wardrobe. Take a mental pause—and a deep breath—and reassure yourself that what you have is enough. This is an experiment in simplifying, and it will be a little uncomfortable at first to have less than you did before. Calm any anxiety or insecurity by reminding yourself that if, in a few weeks, your kid is getting short shrift in the clothing department, you can always come back and restock. …and pjs; owls gifted, monster trucks of same brand but thrifted. Have you ever created a capsule wardrobe for or with a kid? Would you ever give it a try? Any tips for working with older children to firm up their wardrobes? 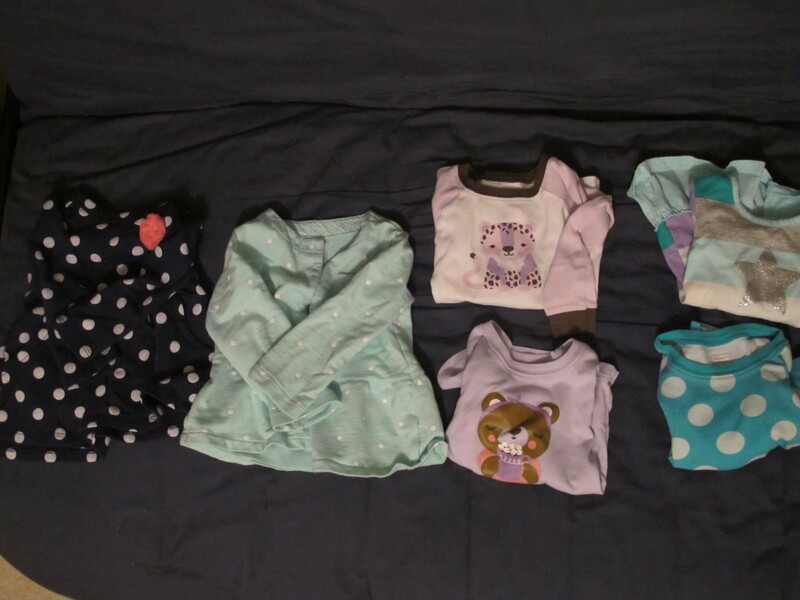 Any resources for secondhand kids’ clothing?